hould you save money by doing the job yourself? Do-it-yourself (DIY) jobs are a popular trend in home improvement; however, before you grab a hammer and start swinging, you should know that this trend is not without a few potential problems. Before you decide to DIY, the National Association of the Remodeling Industry (NARI) recommends taking this DIY quiz. YES OR NO: 1. Do you enjoy physical work? 2. Are you persistent and patient? 3. Do you have reliable work habits? Meaning that once the project is started, will it get finished? 4. Do you have all the tools needed and, more importantly, the skills required to do the job? 5. Are your skills at the level necessary to achieve the desired result? 6. Do you have the time that will be required to complete the project? Always double or triple the time estimated for a DIY project unless you are highly skilled and familiar with that particular project. 8. Are you prepared to handle the kind of stress this project will create in your family relationships? 9. Do you know all of the steps involved in the project? 10. Have you gotten the installation instructions from the manufacturer to determine whether this is a project you still want to undertake? Most manufacturers will send you installation instructions and technical specifications before purchase to determine whether the product will meet your needs. 11. Are you familiar with your local building codes and permit requirements? Some jurisdictions require that the work be completed by a licensed and bonded professional in order to meet code. It’s best to check these requirements before beginning work on the project. 13. Do you have a “Plan B” if the project goes awry? Most contractors are wary about taking on a botched DIY job, and some just won’t take them. 14. Is it safe for you to do this project? If you are not familiar with roofing or do not have fall protection restraints, you may not want to venture into a roofing job. Similarly, if you know little or nothing about electricity, leave it to a professional. Some jobs can be fatal if not performed correctly. Your health and safety should be the primary concern. Never enter into a DIY project that would jeopardize either. 15. Will you be able to obtain the materials you need? Who will be your source of supply? Will they deliver, or do you have to pick them up? 16. Are you attempting to do it yourself for financial reasons? If so, have you looked at all of your costs, including the cost of materials, your time and the tools you need to purchase? If you are new to the DIY game, you may also want to look at the cost to correct any mistakes you may make, i.e., the damage factor. Will it still be a cost-saving venture? If you are trying DIY for the satisfaction of a job well done, can you ensure that the job will be “well done”? If it doesn’t come out right, how will you feel? Will you be able to afford to redo any unsatisfactory work? If you answered “Yes” to eight or more of these questions, you might attempt a DIY project. But before you run for the nearest home improvement store, revisit those questions you marked “No” and carefully consider the potential problems you will face in those areas if you proceed with the project. Hiring a professional might still be your best choice. NARI suggests that you be prepared and take your time in selecting a home improvement partner and reminds consumers that such a project can be one of the most important investments that a homeowner can make. There is no such thing as a “formaldehyde free” wood product. Formaldehyde is present in all natural wood as a byproduct of wood’s metabolic processes. In fact, the human body even emits small amounts of formaldehyde! “No added formaldehyde” is a more accurate phrase and generally refers to the absence of urea formaldehyde in the glues that help panel products stick together. You will sometimes see this referred to as “NAF” (no added formaldehyde) or “NAUF” (no added urea formaldehyde). All of these are engineered “all wood” (you have been paying attention, haven’t you?) materials that use a variety of wood compositions with adhesives and resins as binders. These come in sheet form of varying thicknesses. Plywood and particle board are common engineered wood products. •	The presence of these materials in a cabinet or furniture piece does not necessarily indicate an inferior product – most modern cabinetry uses them in one form or another. All products and finished goods sold in the state of California must comply with the CARB Phase 2 (usually referred to as simply CARB-2) regulations regarding formaldehyde emissions. These are the most stringent regulations in the nation and among the toughest emissions regulations in the world. NARI • NATIONAL ASSOCIATION OF THE REMODELING INDUSTRY • NARI • Lyptus • A hybrid of two Eucalyptus species, Lyptus is grown on plantations located in South America. It is a very hard wood with distinctive straight grain resembling African mahogany. It stains and finishes beautifully. Lyptus has a relatively short time-to-harvest, making it a promising sustainable wood. • Bamboo • Bamboo has grown in popularity for everything from cooking utensils to flooring and cabinets. Bamboo is actually a grass and one of the fastest growing plants in the world, adding to its status as a highly sustainable material. • “Plastic” laminate • High-pressure laminate (HPL) is a more accurate description. HPLs are made of many layers of paper bonded with melamine resins under heat and pressure. Many HPLs are GreenGuard© certified for low environmental emissions. It is a relatively inexpensive surfacing material and easy to replace as budget or design allows. HPLs are available in a staggering variety of colors and textures. An important factor when “going green” is the proximity of a product to your location. Closer is better, since shipping products and materials over long distances increases the carbon footprint. Suppliers shipping long distances alleviate this issue somewhat by utilizing more efficient high-volume shipping methods. When possible, working with a local manufacturer is a greener option. — Dennis Everett of The Wood Connection, a custom residential cabinet business located in San Jose, California. ou have been dreaming about it, and now you’re ready to start that home improvement project. You are on the hunt for a licensed contractor and have selected a few that you are preparing to interview. Your questions are ready: References? Years in business? Insurance? Wait – you don’t have any questions about insurance! Your project is a complex process that can involve many individuals and companies, most of whom will actually be working in or around your home. In preparing for your project, don’t overlook the importance of having appropriate levels of insurance protection. The following tips and guidelines will help you ask the right insurance questions. Proof of Insurance – Don’t Be Afraid To Ask Ask the prospective contractor to provide certificates of insurance. This is simply smart business, so the contractor should not be offended when you make such a request. Having the certificate mailed or emailed directly from the contractor’s insurance agency is the best way to be sure that the insurance certificate is valid and the coverage listed is in force. If the contractor prospect can’t provide you with this information or seems unwilling to do so, move on to the next one. Worker’s Compensation As the property owner, you are financially responsible if a worker is injured on your project and his employer does not have worker’s compensation coverage. Be sure that any contractor you hire has worker’s compensation insurance if he has employees. If the general contractor has coverage, his insurance will also protect subcontractors’ employees. The safest policy is to ask the general contractorto furnish proof that his subcontractors have worker’s compensation. This information should be made readily available to you. General Liability Ask about the general liability limits the contractor has. You should require that the limits be a minimum $1,000,000/$2,000,000 with at least a $1,000,000 umbrella or an excess liability policy. Ask the contractor if he has any claims pending or situations that might develop into claims. Policies today are written with a “per occurrence” limit and a policy year limit. If there are other claims pending or likely to develop you might not have the protection you expect. Also ask if the contractor’s liability policy covers “broad form” property damage. The standard liability policy excludes property in the care, custody and control of an insured. The contractor has custody and control of any part of your home he is working on, so any damage that occurs may not be covered. “Broad form” coverage takes care of this for you. Following these guidelines can help ensure a little peace of mind during your project. — Dean Fletcher, CIC, CRM, Mission Counties Insurance Agency, Inc., San Jose. Dean has been in the insurance industry since 1969 and founded Mission Counties Insurance in 1977. Ideally, you want the liability policy to be an “occurrence form”, not a “claims made” form. The occurrence form gives you the best chance of recouping a future loss. 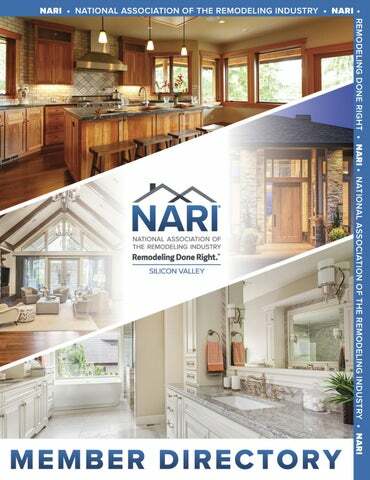 Index of NARI Remodeling Professionals by Category Air Conditioning & Heating (HVAC) Pelle Heating & Air Conditioning, Inc.
Viola Design, Inc. Woodard and Associates, Inc. Doors and/or Windows J & M Windows & Glass, Inc. Decorative Plumbing Kohler Co./Zurier The Showroom at Rubenstein Drywall Brian Thompson Drywall Electricians Clausen Electric, Inc. VB Electric Flooring Slaughterbeck Floors Framing S. R. Freeman, Inc., Builder General Contractors Acton Construction, Inc. Ammirato Construction, Inc. Barrios Wagner Builders, Inc California Bathroom & Kitchen Remodelers, Inc. CASE Design/Remodeling Chana Construction Chandler Building & Development D.R. Domenichini Construction DeMattei Construction Dimensional Construction, Inc. Daniel Mackey Construction, Inc Dream Castle Construction EBCON Corporation Fernandez Designs & Builders, Inc. GR8WORK Builders, Inc. Greenberg Development and Construction, Inc. Gridley Construction Company Hammerschmidt Construction, Inc. Hanson Construction Corporation Harrell Remodeling, Inc.
Heartwood Residential Services IKB Design & Construction Interiors For Modern Living, Inc. Irwin Fisher, Inc. JH Construction & Remodeling Lerch Construction Company Lynstar Enterprises, Inc. May Construction, Inc. Michael McKinzie Construction Page & Pio Construction, Inc. RADCON Builders S. E. A. Construction, Inc. Seacliff Construction and Design Sigura Construction, Inc. Starburst Construction, Inc. TBS Construction, Inc. Timeline Design Tracery Professional Builders Valley Home Builders, Inc. 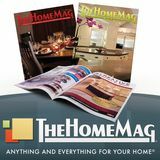 Lighting Legrand-Adorne Media/Advertising/Marketing Services Emprove, Inc. TheHomeMag Professional Services Business Pathfinder DCI Mortgage & Investment Mollett & Burian Accountancy Corp. The Contractors Coach Tradesmen International United American Bank Termite Services Franz Termite Control Corp. Tile and/or Stone All Natural Stone Daltile Stone & Slab Center The Tile & Grout King, Inc.